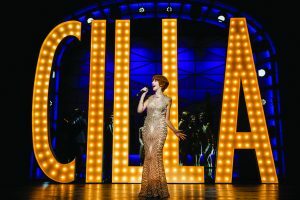 IT’S a show that just had to premiere in Liverpool, but now Cilla The Musical is heading out on tour and reaches the New Victoria Theatre, Woking, from Tuesday 20 March until Saturday 24 March. it is a musical adaptation of the hit ITV television series and recreates the legendary Merseybeat live on stage, starring Kara Lily Hayworth as Cilla Black. The score includes Cilla’s hits like Anyone Who Had a Heart and Alfie.